At Spacelabs, we are committed to helping medical professionals diagnose and treat cardiovascular disease. 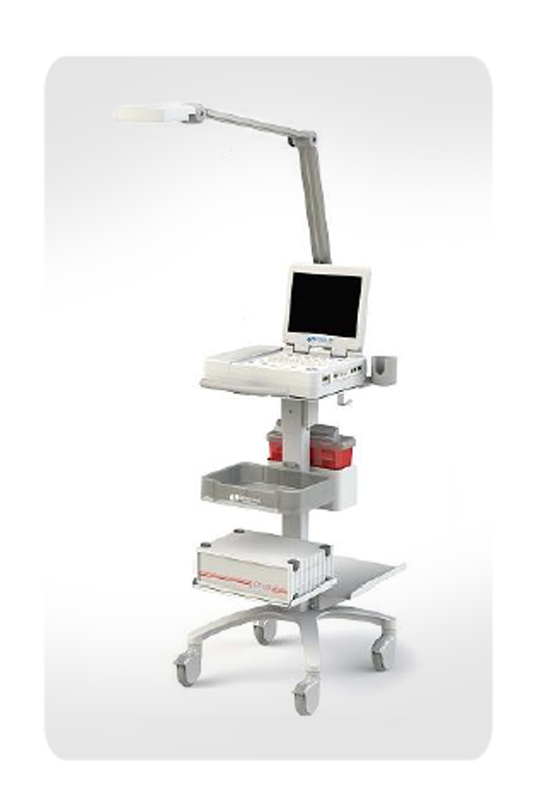 Spacelabs offers a complete range of non-invasive diagnostic cardiology solutions. 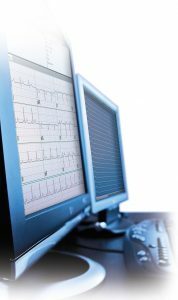 Our web-based cardiology data management system facilitates analysis and reporting while also improving collaboration and efficiency. Having the right diagnostic tools available to clinicians and presenting information in a quick, simple, and comprehensive manner helps improve the outcomes for your patients. Pathfinder SL‘s atrial fibrillation (AF) algorithm uses a number of layers of analysis to accurately detect and quantify the presence, duration, and burden of atrial fibrillation. Working in close combination with advanced arrhythmia analysis, Pathfinder applies to 24 hour recordings including up to 12 channels, and now includes over 7 days of full disclosure ECG. This gives a much wider picture of atrial fibrillation events than previously achieved, in one analysis and one report. Affecting 25% of the adult population, hypertension is the world’s leading risk factor for morbidity and mortality. 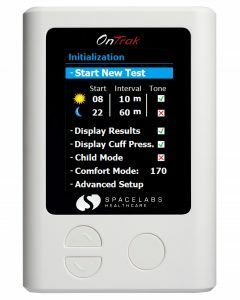 OnTrak ambulatory ABPM recorder’s flexibility and accuracy combines with Sentinel® for data management and connectivity, providing the complete solution in the field of hypertension management. OnTrak meets the highest validation standards for adult and children: AAMI 2009 (also 2nd edition for Children), ESH 2010, BHS (A/A). ECG Cart brings the true clinical benefits of 12-, 15-, and 18-lead ECG into an affordable mainstream cart. 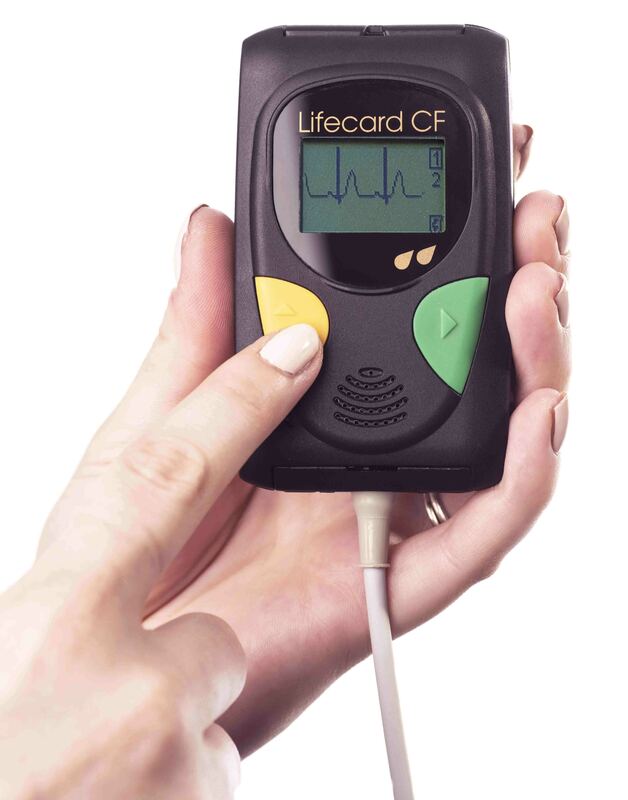 Our Holter ECG solution represents the evolution of over 40 years of technology leadership and experience. Together with our state-of-the- art Sentinel connectivity solution, we provide an easy workflow across all ECG needs in hospitals and primary care environments. Our solutions provide for individual needs and effective combined solutions with a complete portfolio of Holter, ABPM, and resting ECG products. We bring simplicity and reliability to the connected environment, including specialized hubs, scanning services, and integration to patient records. Some products are not available for sale in all countries. Please contact your local Spacelabs Healthcare representative or regional office for more information.